I pride myself on the fact that I have tasted or at least heard of every Italian grape variety imported into this country so you can imagine my surprise when I was invited by the Albino Armani winey to tasting and dinner at Mia Dona in NYC of a wine made from the Foja Tonda grape. Known as casetta and in the local dialect it is known as Foja Tonda. At the tasting and dinner we were the guest of Egle Armani wife of the owner and wine maker Albino Armani. She was born in Calabria but after marrying Albino moved to the Val d’Adige (Adige Valley) and became more interested in wine. 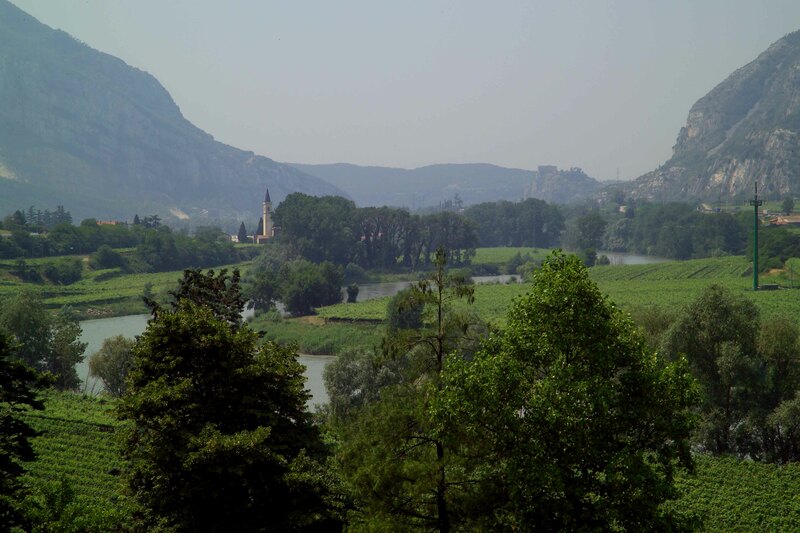 Egle told us that the Armani family history in the Adige Valley can be traced back to 1607. 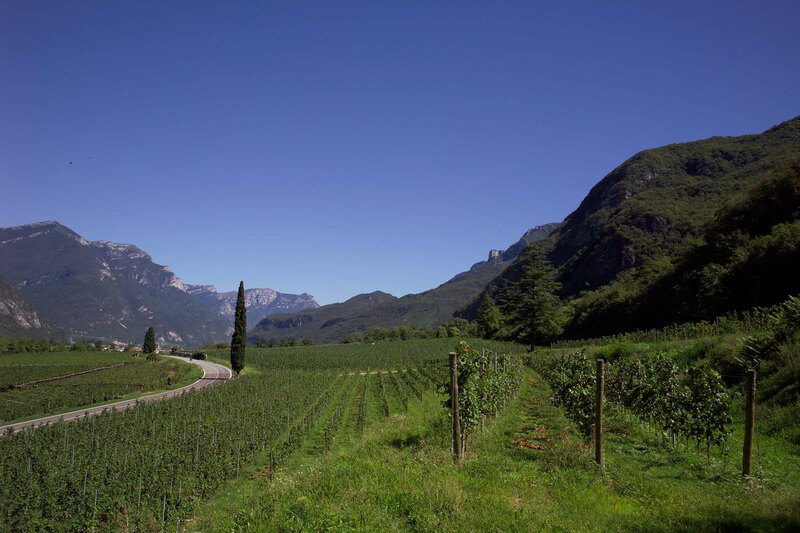 Today the winery has some 550 acres in the regions of Trentino Alto Adige, Veneto and Friuli. Her husband is concerned that the identity of the Val d’Adige was being lost to non indigenous grape varieties and has worked to restore some of the area’s most endangered and ancient varieties. In the 1980’s he discovered plantings of Foja Tonda (the dialect name–in Italian it is called casetta) in several Armani vineyards in the Southern part of the Val d’Adige. He petitioned the government to reinstate the varietal for cultivation in 2002. 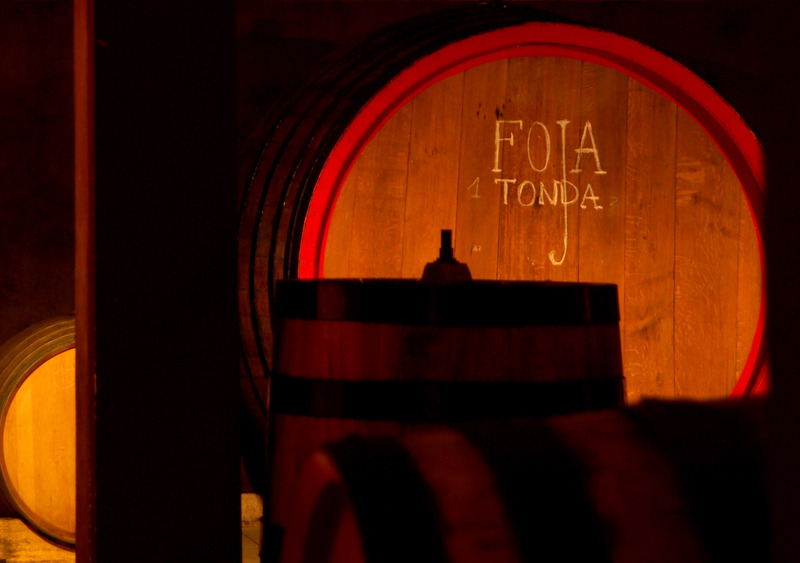 He has had great success with Foja Tonda, developing it from a few vines to 12 hectares. Some of the older vines have their original roots. Egle pointed out that this was very important to her husband to restore a grape that is so deeply entrenched in the winegrowing tradition and history of the region. The label reads Foja Tonda – Casetta I.G.T.- Rosso Vallagarina until 2007 when it became D.O.C. Terradeiforti. Foja Tonda is indigenous to Vallagarina in the Adige Valley. The grapes that go into this wine come from the prized Terradeiforti region of the southern Adige Valley.The DOC does not allow the cultivation Foja Tonda outside of this area. Armani owns 90% of all the vines currently planted within the Terradeiforti zone which makes it almost an exclusive Armani family DOC. 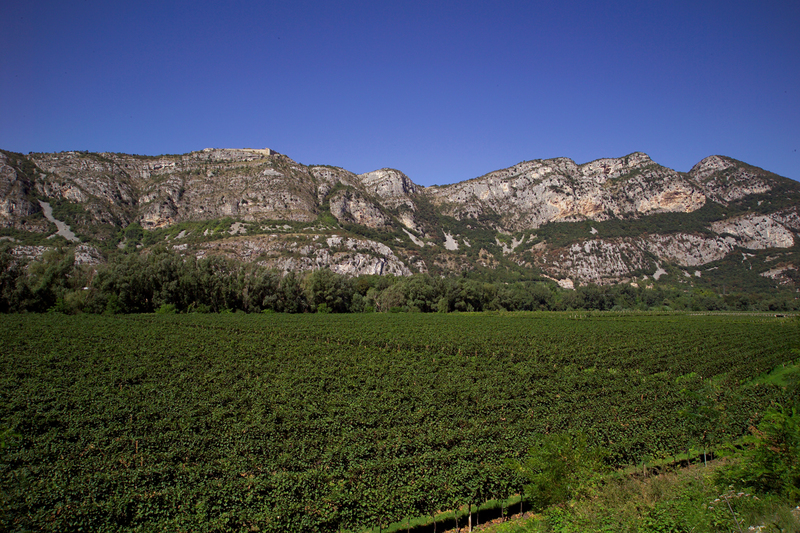 It is cultivated in the areas around towns of Dolce, Ala and Avio. All three wines had aromas of cherries, spices, dry prunes, and an undertone of leather. They are well balanced wines with good acidity and a long finish and very pleasing aftertaste. They are wines that could be drunk now but I think they would become more complex with age. It was interesting to taste all three vintages together to see how they developed over the years. These are my kind of wines: they are terroir- driven. The winemaker has respect for the grape and of tradition. They are excellent food wines and went very well with pasta with a meat sauce, game, cheese and the other dishes we had at Mia Dona. Like you, I hadn’t heard of this either – excellent report. Bravo to you for focusing on these little known varieties! Charles, this is SUCH an awesome post! I’m dying to try that wine… Like your Durello post, really really great stuff… please let me know how to get in touch with Albino: I NEED TO TASTE his wine! Great post. Ciao Jeremy Thank You I feel honored! an example of the power and reach of your blog: within 5 minutes of my comment, I got an email from the PR asking where to send a sample bottle! I love it! Ciao Jeremy Hope to see you in NY soon. and you can taste Tracie P’s puttanesca! Doing research for my personal wine journal after enjoying my first bottle. I consider this wine a “find”. Shared the wine with my wife with a dinner of beef brasciole. Loved it with food and on its own. Heading back to buy more. I really like the wine and it would be perfect with the beef brasciole. My husband and I tried this wine in a small wine tasting room in Austin, TX. It quickly became our favorite and were only able to buy 3 bottles before they stopped carrying it. Its hard to find — but worth the search! I have this wine on my wine list which I inherited in Naples Florida at Angelina’s Restaurant and recently discovered the 2006 vintage. I was not familiar with it. Great report I will be ordering more and tasting it for sure. Ciao Robert- it is a little know but wonderful wine.